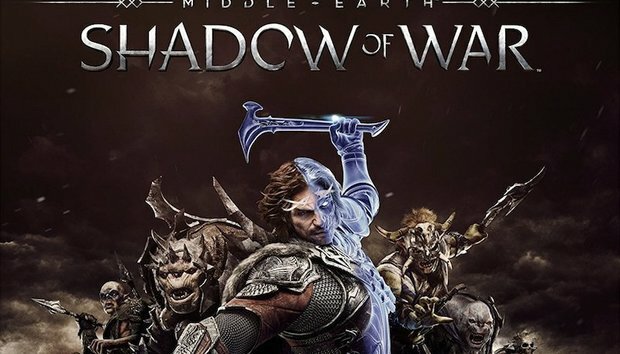 There's good news for Tolkienistas, because Warner Bros. has confirmed that it's working on Middle-earth: Shadow of War, a sequel to the 2014 hit Shadow of Mordor. Like that game, it's set in the Lord of the Rings universe as inspired by Peter Jackson's films, and will once again see you tasked with thinning the ranks of Sauron's forces. Shadow of War was revealed in February 2017 with a cinematic announcement trailer that shows off the game's world and story, though doesn't reveal much gameplay. Still, this is where you'll find everything we know so far about Shadow of War's release date, price, platforms, and gameplay, and we'll keep updating it as we find out more. When is the Shadow of War release date? Middle-earth: Shadow of War is coming out in the US and worldwide on 25 August 2017 for PS4, Xbox One, and PC. The game will also be part of the Play Anywhere scheme, which means if you buy a digital copy from Microsoft you can play it on either Xbox One or PC, with your save data transferring between them. There will also be an enhanced version released with Xbox One Scorpio support, but naturally that won't come out until the console does some time later in the year. Pre-orders are now open for Shadow of War, and predictably it's available in a whole slew of different versions. You can pre-order the standard version of Shadow of War for $59.99 from Amazon, which will get you the base game and "four legendary Orc champions & exclusive Sword of Dominion," as a pre-order bonus. The next tier up is the Gold Edition, which is $99.99 from Amazon, and includes all of the above (except the War Chest is gold), along with two story expansions: The Blade of Galadriel and The Desolation of Mordor. It also comes in a nifty steelbook case. Finally, for the real die-hards there's the Mithril Edition, which any LotR fan will know is the best of all the fictional metals. That's a GameStop exclusive and includes everything in the Gold Edition along with some physical goodies: a magnetic Ring of Power, a cloth map of Mordor, some stickers and lithographs, a soundtrack CD, and the real attraction: a 12in Tar-Goroth Balrog vs. Carnan Drake statue, which does look pretty cool, to be fair. It'll set you back $299.99. Oh, and if you never played the original Shadow of Mordor, you can grab a Game of the Year copy now for $20. The first announcement trailer for Shadow of War showed off the game's story, which picks up shortly after the end of Shadow of Mordor, between The Hobbit and The Lord of the Rings, still following Talion and Celebrimbor. They've forged a new Ring of Power, and are going behind enemy lines into Mordor to try and spread dissent and undermine Sauron, turning his own army against him. It looks like that will involve fighting a Balrog, the Nazgul, and maybe even Sauron himself along the way - watch the trailer for yourself at the top of the page to see more. While the announcement trailer teased the game's story, there was little (well, zero) gameplay on display, so we don't know a lot about what to expect. The press release gives us a little more insight, promising a major expansion to the first game's innovative Nemesis system, which saw named NPC enemies respond to and pursue the player character across the game. "The robust personalization from the first game is now applied to the entire world where the environments and characters are all shaped by player actions and decisions, creating a personal world unique to every gameplay experience," Warner Bros. claims. The new additions include Followers, who "bring about entirely new stories of loyalty, betrayal and revenge," and Nemesis Fortresses, which "allows player to utilize different strategies to conquer dynamic strongholds and create personalized worlds with their unique Orc army." The gameplay footage shows the player working through a procedurally generated fortress, choosing tactics to approach the battle, directing your own troops, and facing big threats like traps, war chiefs, and even dragons along the ways. One of the main dynamic additions are Followers, members of your army with their own names, backgrounds, and characters. They can be loyal or betray you and become your enemies, creating varied stories along the way, while you can choose which of them to bring into battle, and which will have the most power - and thus influence - over your forces.